About Us - Walt's Organic Fertilizer Co.
1. The core of our business is manufacturing an established line of blended complete organic fertilizers registered and approved for use in organic production by the Washington State Department of Agriculture (bearing the WSDA Organic Department seal). 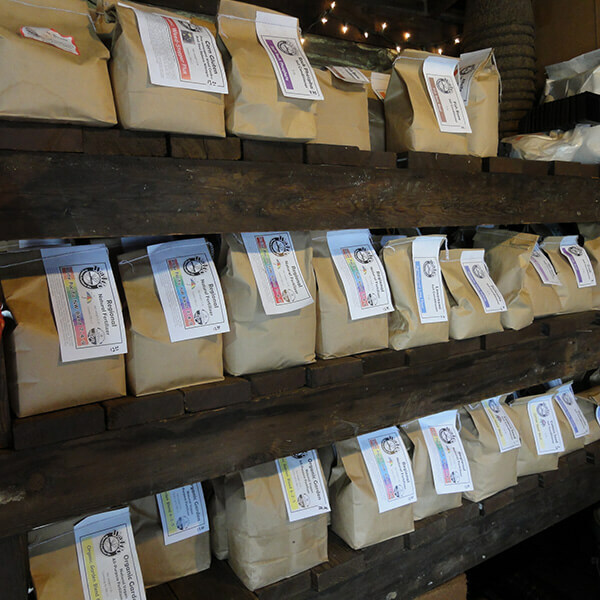 We also package and distribute numerous individual soil amendments/ingredients for expert and novice organic growers alike. 2. Organic garden center/nursery specializing in natural products for the organic gardener, urban farmer, and city chickens. Our focus is on edible and northwest native plants, and promoting pollinator highways here in the city of Seattle and beyond. 3. Organic gardening and landscape services are available year- round. We are licensed, bonded, and insured with over 20 years of professional experience in quality, professional, and sustainable gardening and landscaping. 4. Online sales of our product line is the newest component of our business. So if you live out of town or just want your gardening supplies delivered to your door, order on line and we will expedite your order. Walt Benecki founded the company in 1995 after a a few years as a National Marine Fisheries Observer working on the Bering Sea out of Dutch Harbor, Alaska. 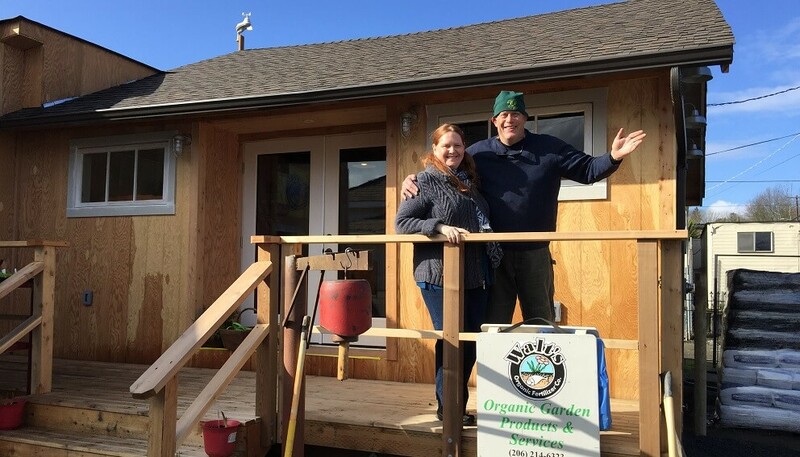 He started as an organic wholesale fertilizer manufacturer, which consisted of two wheelbarrows, shovels, and a couple of garages in the Montlake neighborhood. As he outgrew the space, he realized he would need to relocate to an area where he could grow the business in a sustainable way. The City Of Ballard was serendipitous. Realizing wholesale fertilizer dovetailed nicely with the gardening knowledge gained from working his way through college as a landscaper, Walt began offering organic gardening and landscape services in 1998. 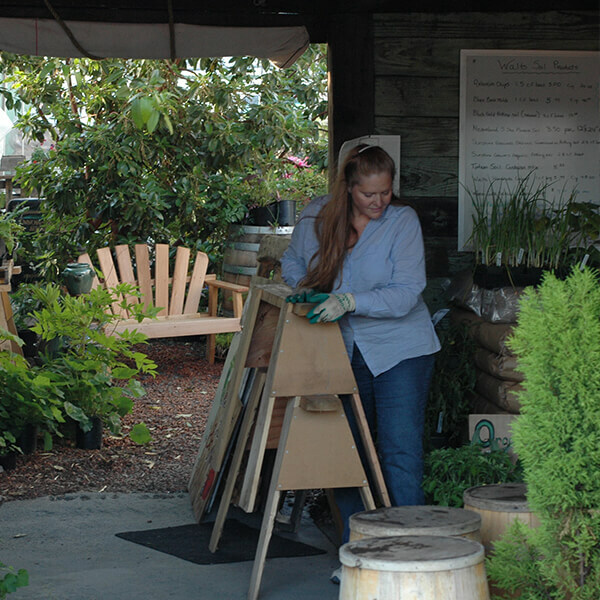 Shirley Jane created our organic garden center/nursery in 1999. All three components of the business have grown and expanded, and we are happy to say we are going strong after 20 years. As a quaint rural shop in a big city, anyone will tell you walking into Walt’s Organic Fertilizer Company is like a trip to the country. We have recently moved to a new location in the Magnolia neighborhood of Seattle and are located about one block West of Fisherman’s Terminal. The building housing our new shop/nursery/organic garden center was originally built in 1905. From the 1970’s till we moved in, it was home to Mexican Ornamental Iron Works. We have retained the original structures as well as several examples of their fine work. It is great to be here. Street parking as so far been excellent compared to our old location on Leary Way in the Ballard neighborhood. We think it is a real honor to have landed right by the marina. We like to think we are contributing in our own way to this special place’s unique story. At Walt’s Organic Fertilizer Co., our mission is to provide our customers the highest quality organic garden products and services available. We would enjoy answering any questions you may have about your garden or landscaping needs. Please feel free to contact our store by phone, e-mail, or by filling out the form if you have any questions. Please enter your information in the blue form and we’ll contact you directly.